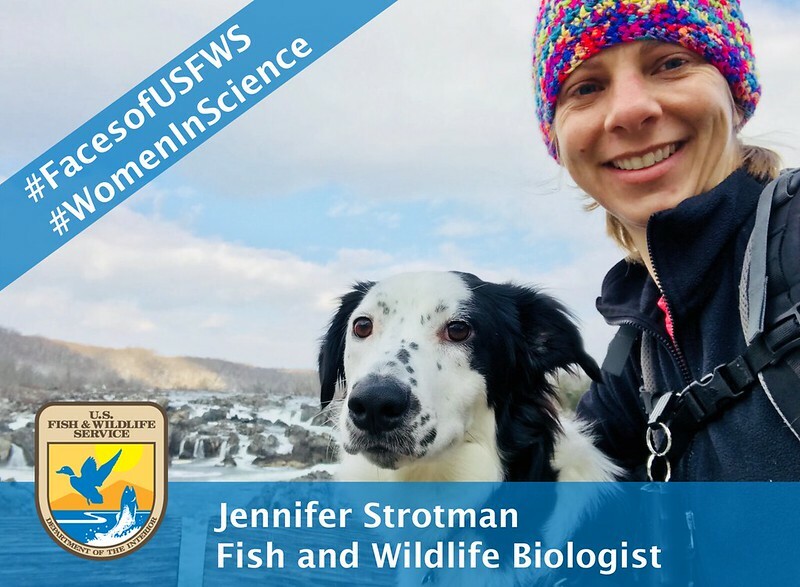 Q&A with Jennifer Strotman, fish and wildlife biologist in Ventura, Calif.
We like to share the insider's scoop about the people who carry out the important work of protecting and conserving fish, wildlife, plants, and their habitats along the central and Southern California coast. Meet one of our newest fish and wildlife biologists, Jennifer Strotman and her dog, Poppy! My background is complex and varied: military police soldier in the U.S. Army, naturalist, zookeeper, shelter animal caregiver, and most recently, I was a registrar at the Smithsonian Institution National Museum of Natural History. My passion for animals and the outdoors has driven me to do my part in being a good steward for our planet. I am a wildlife biologist working mainly with Vandenberg Air Force Base helping to conserve endangered species on the base. I earned my Bachelor of Science in Biology from Metropolitan State University of Denver and a Masters Certificate in Wildlife Management from Oregon State University. Of all the species our agency works to protect along the California coast, which is your favorite? Why? Having grown up in Ventura County, I have a soft spot in my heart for southern sea otter and Channel Islands fox. Both of these animals were so close to extinction and they have shown remarkable recovery. They show what collaboration and conservation can do! The most rewarding part of my professional life thus far is inspiring the next generation and taking care of animals that need help. There is nothing more profound than giving back and sharing my passion. My main hobby is hiking, which I do with my rescued service dog, Poppy; I need nature to recharge my batteries. If the weather is not cooperating, I love to read, catch up on my favorite TV shows, and cook.